Hello everyone! Quick feature post! This post would be other than beauty as you can see. Other than wearing makeup, obviously.. I wear clothes too. Haha. So I am going to show you what they got for me. 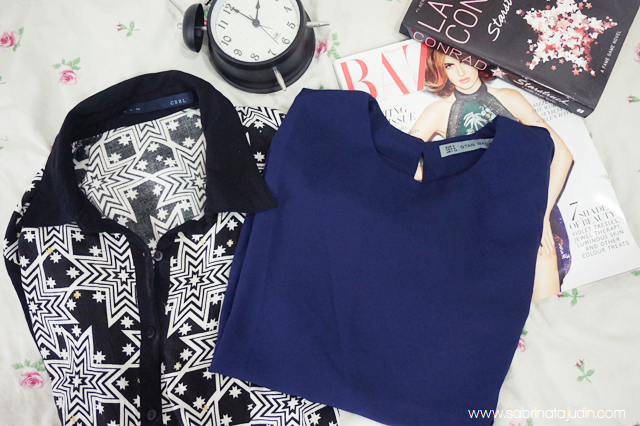 Basically obsessed with my new top <3 They offer you from blouses, shirt, pants, skirt and many more. The first picture is caled Star Printed Shirt. The material is very flowy and comfortable. The second top on the secind picture I can't remember the name. Haha! But loving the cape effect at the back. Check out Izie Fashion garments that sure will melts you away!